Imagine this: A room filled with 11 different types of cookies, a panel of feisty celebrity judges, and a band of students hoping for gold. Cue: The International Culinary Center’s first annual Cookie Olympics. And things got a little kookie at this cookie competition. Let me explain. The national anthem was supposed to kick off the events, but a mishap in sound department resulted in “O Canada!” blasting from the speakers. No one seemed to notice until a young kid behind me asked the very astute question: Why is Canada’s anthem playing? The event was then proceeded with the lighting of the torch—or the blowtorch in this culinary sporting—err…eating—event. The torch carrier made a loop around the darkened room, and came full circle to emblaze three Sterno burners (the ones used for chafing dishes at catered functions). Let the games begin. The judges were poised to judge each of the 11 cookies (each from a different country) on flavor, texture, difficulty of technique, presentation and ease of eating. 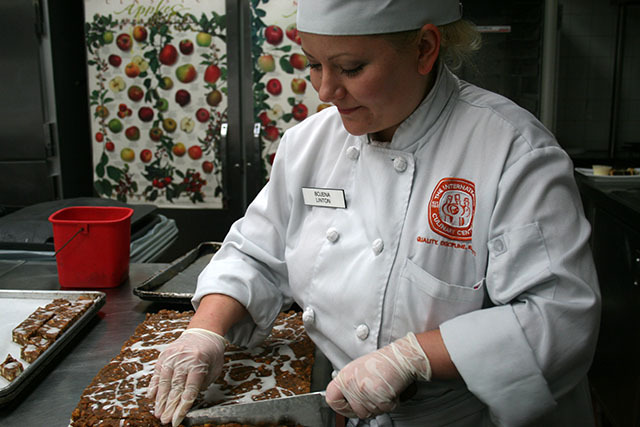 The first-prize winner would be treated to a free dinner at the school’s restaurant, L’Ecole, and have their recipe and cookie featured on the restaurant’s menu. 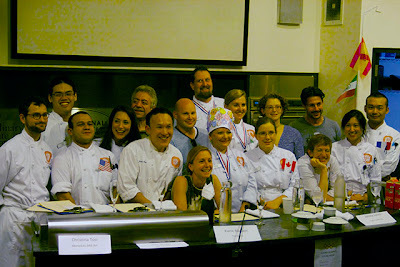 The judges ate cookies from Canada, China, Bangladesh, Japan, Mexico, Ukraine, Russia, India, America, Jamaica, and France. Milk and champagne fueled them through this massive sugar rush. “Punch up the flavors,” and “Add a little more salt,” were Chef Baldwin’s repeat comments every time she tasted a cookie. The judges loved the savory cookie entries like India’s Chana Masala shortbread, which was made with chickpea flour and topped with a ginger and sundried tomato jam. It made me wince, but the judges loved the spicy topping. The ultimate winner was Russia’s Dulcetto Baz cookie, which was kind of an enigma if you didn’t have a recipe in front of you. Bojena Lotina, an International Culinary Center culinary student, took home both the gold and the “Fan Favorite” award. “It makes no sense to me, but I love it,” was Richman’s first reaction to this dense dulce de leche cookie, which was studded with shortbread bits. 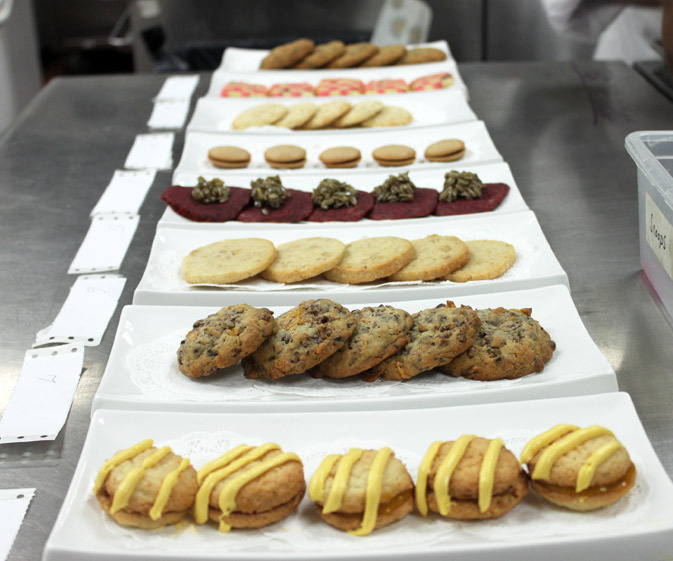 The second and third prize winners were the Indian Chana Masala cookie and the Jamaican spice cookie, respectively.